While secular society might claim otherwise, one can be both an intellectual and a person of faith. 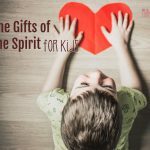 Here is the truth about gifted kids, Catholicism, and Christianity, plus how to help them keep the faith. She stood behind me, one hand on the back of my chair. I had felt her presence before I saw or heard it, but still – the sudden pronouncement made me jump. I sat at my dining room table turned office space poring over research for this post. When my daughter appeared out of nowhere (which she is frequently wont to do while I’m working), I happened to be taking notes on a 2013 meta-analysis of 63 research studies. Three researchers from NIH were exploring the impact of IQ on religiosity. The correlational statistics weren’t encouraging. My daughter was internalizing the results. My husband and I are both gifted. As such, we understand the inner workings of the gifted mind. A desire for empirical evidence. A tendency toward analytical thinking. The need to follow a topic through to its final, logical conclusion. But we are also devout Roman Catholics raising three gifted children in the Church. Based on the meta-analysis I was reading, our family is a statistical anomaly. Of the 63 studies included in the analysis, 53 revealed a negative correlation between giftedness and faith. What’s more, of the 10 studies which revealed a positive correlation, only two showed a significant positive result. If I were the kind to put a lot of stock in statistics, it would seem pretty clear my kids don’t stand a chance. Fortunately, though, I’m not much of a fatalist. I’m a believer in free will, of the ability to consider all the evidence and choose the path one will take. This is how I view my efforts to raise gifted, faithful children, and it’s why I believe gifted people can also be people of faith. When Zuckerman, Silberman, and Hall released the results of their meta-analysis, they included three primary reasons why gifted people tend to lose faith in organized religion. A 1992 meta-analysis of seven studies reviewed by Zuckerman, Silberman, and Hall found that intelligent people may be more likely to become atheists when they live in religious societies because intelligent people tend to be nonconformist. In their survey of studies conducted between 1997 and 2010, Zuckerman, Silberman, and Hall determined three benefits of intellectual giftedness which negate the need for religious beliefs. A number of studies indicated a correlation between high intelligence and marital success. Zuckerman, Silberman, and Hall take this one step further, finding this indicative of a gifted person’s tendency to find belonging in human companionship, not God’s. I find Zuckerman, Silberman, and Hall’s assertions to be a bit of a stretch, especially when you weigh their findings against a fair number of additional studies revealing the social and emotional struggles gifted individuals face. Giftedness is not a gift, nor does it grant a universal independence capable of detaching gifted people from the need for spiritual support. A far more likely culprit as to the apparent disconnect between giftedness and faith lies in the gifted mind’s propensity for analytical reasoning. 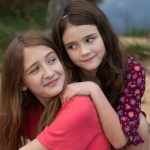 Gifted individuals – including children – have an innate desire to discover the truth. 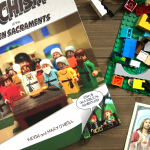 Contemporary Catechesis fails them. My daughter’s simple statement – “Mom, I wish I were as religious as you” – brought a flood of memories regarding my own faith journey. It was never a straight line, nor was it consistent in its energy. There were ebbs and flows, twists and turns, and moments when I chose to walk away. But I was raised in a home that invited inquiry and discussion. The teachings of the faith were never handed down as from on high. Though I was taught to have a healthy respect for authority and Church hierarchy, questioning the hows and whys was never forbidden. My parents raised me to be a thinker and a Catholic, a gift of rational thought and inquiry that brought me closer to my faith. Take, for example, the journey of a young woman named Sarah, profiled here by author and gifted advocate Stephanie Tolan. Despite growing in her faith and converting to Catholicism during high school, Sarah walked away. If we want to give our gifted children a fighting chance when it comes to faith, we must approach it from a perspective which respects their intellectual need for discovery. 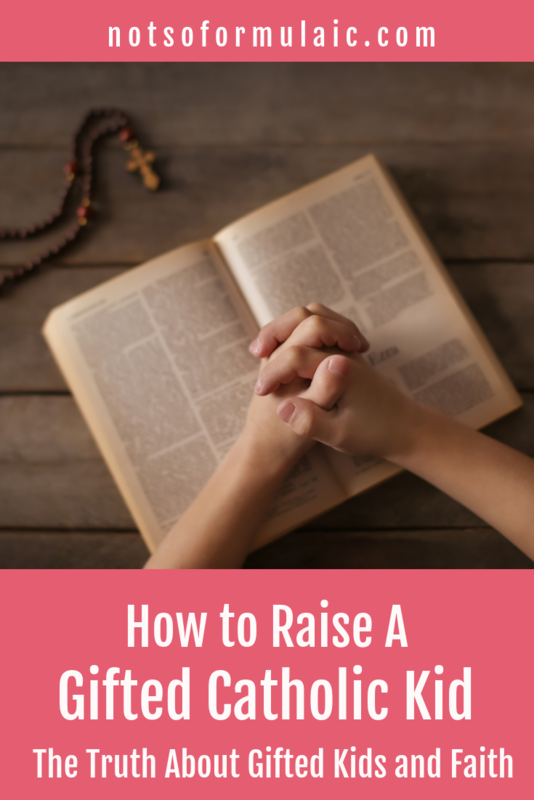 If we expect to raise gifted children to be faithful Catholics and Christians, there is no question these conversations should be happening in our homes. Contrary to popular secular belief, Christianity is not a religion of mindless automatons. Our children should be thinking for themselves, grounded in a conscience that is properly formed. No matter how deeply we can trace the roots of our beliefs, there remain some elements of Christianity which must be taken on faith (the existence of the Trinity and the Real Presence in the Eucharist, to name a few). While we can find empirical evidence to prove these mysteries, it helps to foster an appreciation for other mysterious aspects of life. Take a look at these 10 unsolved mysteries of science or this list of unsolved problems in math. In August of 2016, Georgetown University researcher Dr. Mark Gray revealed the results of two studies performed by the Center for Applied Research in the Apostolate. Gray and his colleagues performed a random sample of young people (15-25) who no longer identified as Catholic. The statistics revealed 13 as the average age at which respondents left the church. 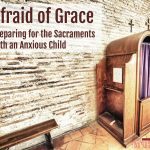 In his analysis, Gray posited one primary reason for this: the disconnect between what children heard at Mass and what they saw at home. Gifted children have little tolerance for hypocrisy and injustice. They also have little patience for information that seems irrelevant to their lives. 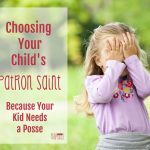 In order to raise solidly Catholic or Christian gifted kids, we not only have to help them see their faith as relevant – we have to walk the talk as well. (For more on this, check out the Mass Journal for Catholic Kids and this post on apologetics). The other day as I was scrolling through my Facebook feed, I came across this clip from The Late Show. Colbert, a practicing Roman Catholic, interviewed British comedian and atheist Ricky Gervais. If you’re at all familiar with the two men’s personalities and communication styles, it won’t come as a surprise to learn the conversation naturally turned to faith. God does not send people to hell. People choose to go there. Because humanity is created in God’s image and likeness, we also have the capacity for free will. We are given the opportunity to choose our ultimate destination after shedding the mortal coil. God does not wish any of us to choose the path to damnation; ultimately, he longs for each of us to choose Him. But he is neither a puppet master nor a tyrannical dictator. Rather, he desires that we seek the truth and choose it completely out of our free will. Antonin Scalia, whose friendship with Justice Ruth Bader Ginsburg was based on mutual intellectual respect. Georges Lemaitre, whose theory about the origin of the universe became known as the Big Bang. While my daughter may say she’s not as religious as I, it doesn’t bother me one bit. I know it is possible to raise gifted children to be lifelong, faithful Christians who not only adhere to the tenets of religion but have also probed and understood what is good, beautiful, and true. 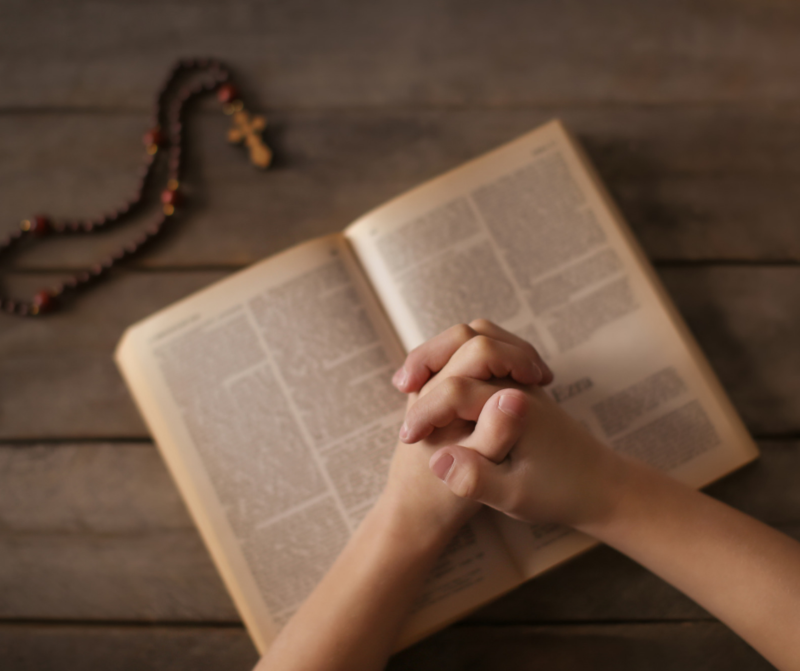 So what’s the truth about gifted kids, Catholicism, and Christianity? Our kids can be both gifted and people of faith, so long as we provide them with the tools. Amazing article. It is for a broad scope of parents, not just those of gifted children. Your points about walking the walk and encouraging discussion are extremely important. Enjoyed your conclusions about your research. Thank you. You’re right – it is applicable across the board! I didn’t follow the links but I did check the titles on Amazon. Thanks for those suggestions. They are interesting and worth checking out – especially the first.